Eco-friendly Natural Handcrafted Seat/Sofa/Couch Cushion Cover made of Kauna(Water Reed) by Skilled Artisans of North-East India(Assam). Dimensions: 45cm(L) x 45cm(W) Approx. 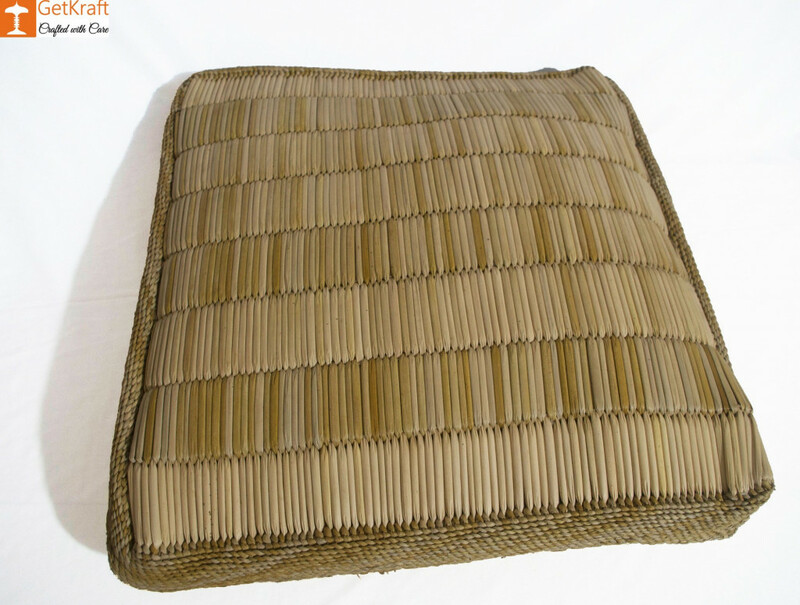 This Cushion is made of Kauna (Water Reed). High Quality Seat/Couch/Sofa Cushion Cover made of Water Reed. The Cushion has Proper air permeability and humidity control.